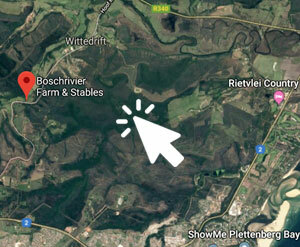 Our slice of heaven just outside of Plettenberg Bay, close to Wittedrift, brings you established stables and livery, pony rides, riding lessons, equi-trailing outrides, a luxury farmstay in our Kingfisher Selfcatering Cottage and homegrown organic produce, pasture-fed freerange pigs and nursery. All this... nestled in our lush river valley, home to magnificent horses and more. Come visit! 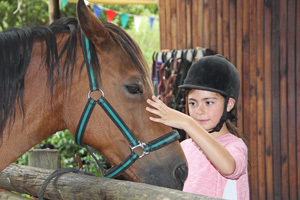 We offer exclusive stabling and livery services, riding lessons, pony rides, pony party venue & equine body work. 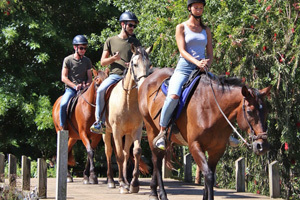 Our popular equitrails offer safe, guided outrides on well-trained horses, through stunning natural Plett scenery. 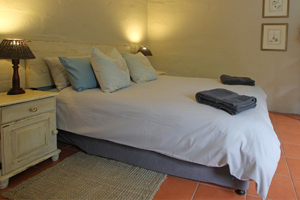 Our fully equipped self-catering cottage sleeps 2-4 people; an affordable luxury farm-stay near Plettenberg Bay. 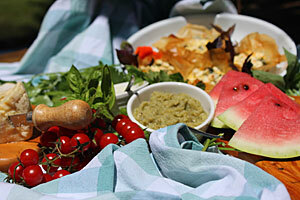 Enjoy our farm-fresh vegetables, pasture-fed freerange pigs, chickens, small nursery & homegrown preserves.